What an amazing way to celebrate the accomplishments of the youth from schools around the Regent Park area. 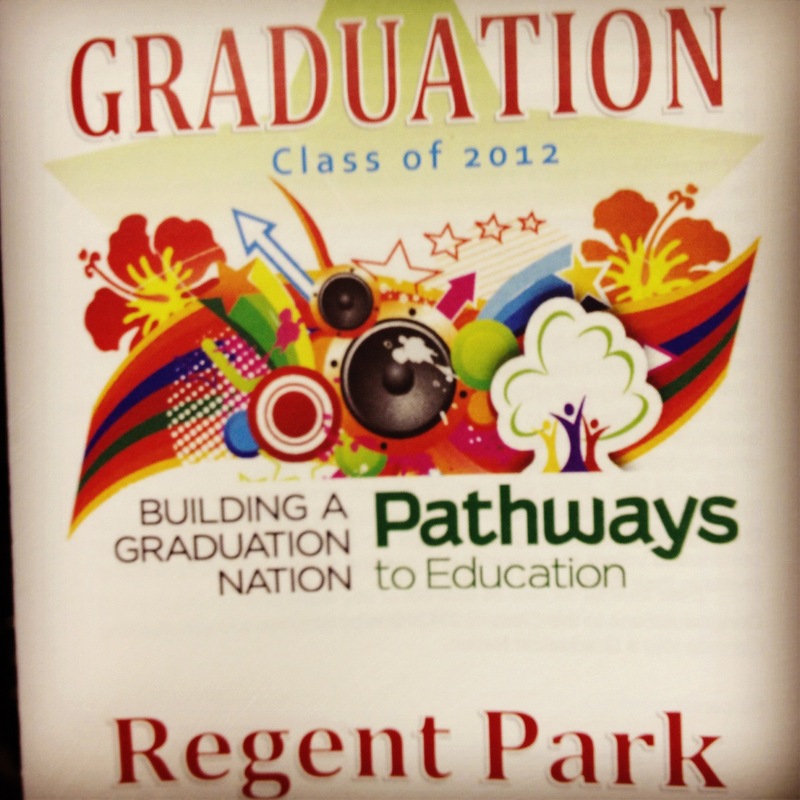 I attended the graduation as a guest to see my former students graduate out of the Pathways to Education program. Although they are leaving high school they were told over and over throughout the night Pathways will always be there for them. My students that were part of Pathways always had good things to say about the program. From mentoring, tutoring, in and out of school they had access to quality assistance. The students being from a marginalized area, face many obstacles in their daily lives. By having support, financial assistance, bus tickets, and tutoring, it took the pressure of the student. I am so very proud off all my former students and seeing the looks on their faces was incredible. Shaking their hands and hearing they will be attending university, colleges and working right after high school was very exciting. The families and whole community came together as a whole to celebrate the hard work and accomplishments of these students. Regent Park has a great community and is only getting better with organizations such as Pathways.